Richard Curtis’ return to the big screen after six years back working in television is not as rockin’ as it is rolling, loose, baggy and freewheeling. It feels like a very long musical montage with little structure or direction. Some fine performances and a funny script can’t hide the fact that this is the Notting Hill writer’s weakest feature film to date. Wasting no time getting into life on board the fictional 1966 pirate radio ship Radio Rock, Curtis races through character introductions to sail straight into the first of many comedy set-pieces. What follows is less a film than a two-hour sketch show with a big budget, held together by some of the most popular songs of the era. 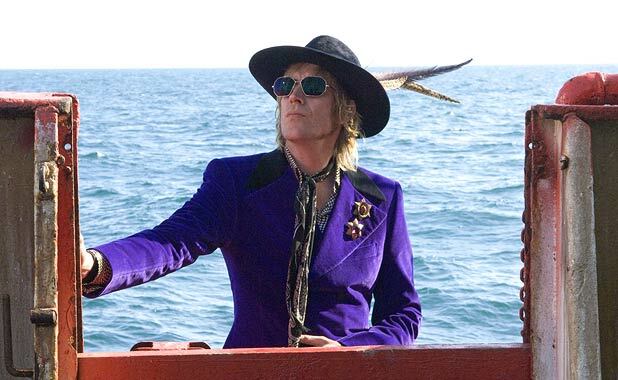 Character actors Philip Seymour Hoffman and Rhys Ifans fail to make much of an impact in this environment, while Bill Nighy’s rocking granddad act feels staid. The actors with stronger TV comedy roots come out best: Spaced’s Nick Frost and Flight of the Conchords’ Rhys Darby get some of the most memorable moments but it is Chris O’Dowd from The IT Crowd who really shines, investing one of Curtis’ most far-fetched scenarios with an unexpected emotional depth. Curtis clearly isn’t aiming for realism, so anyone expecting an accurate recreation of pirate radio’s heyday will be left wanting. Music fans in search of a film about the intangible power of popular music would be better revisiting Cameron Crowe’s Almost Famous. General release from Fri 3 Apr. See interview.